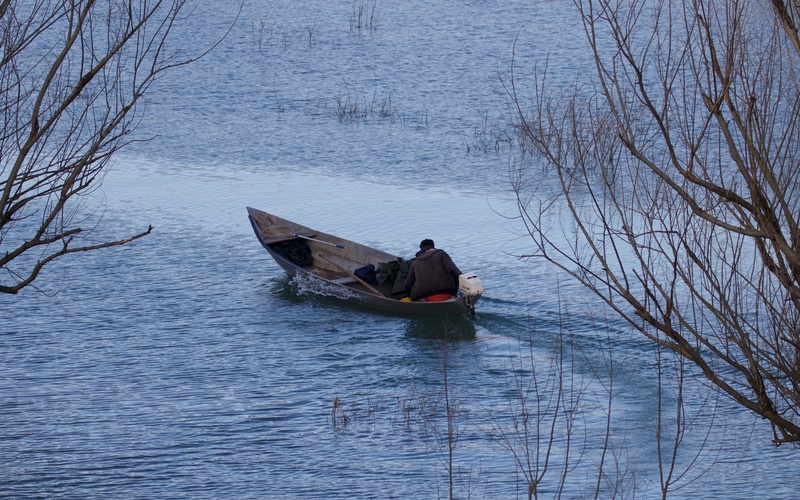 On a chill morning in early March a fisherman puts out not long after dawn to set his nets, baling the icy water from the small boat as he meanders the flooded channel. Fishing is tough and incessant with scant rewards outside of the short, summer tourist season. 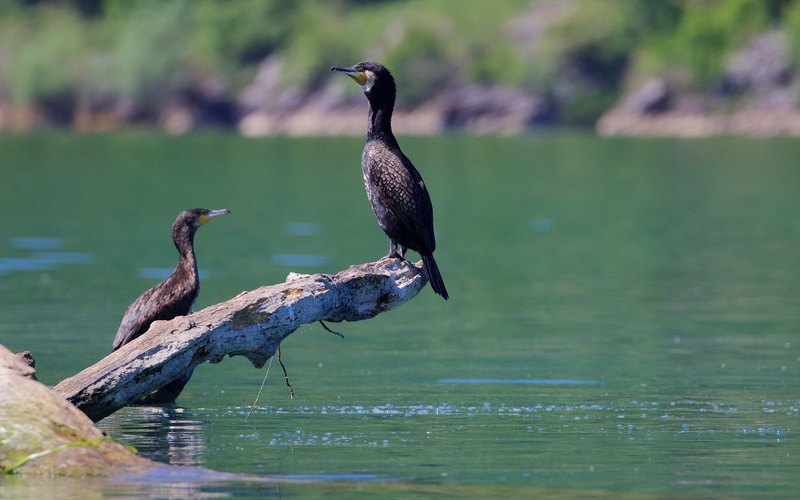 The fishermen work alongside herons, cormorants, grebes and egrets that also take up their positions at this time; some sit and wait, others duck and dive. 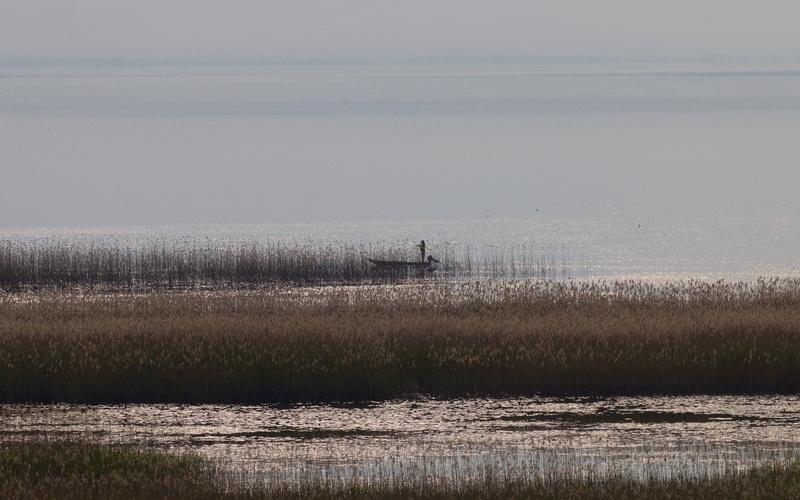 Lake Skadar provides a beautiful backdrop to this morning rite and the ensuing rhythm of the day. Virpazar fisherman off to set the nets. 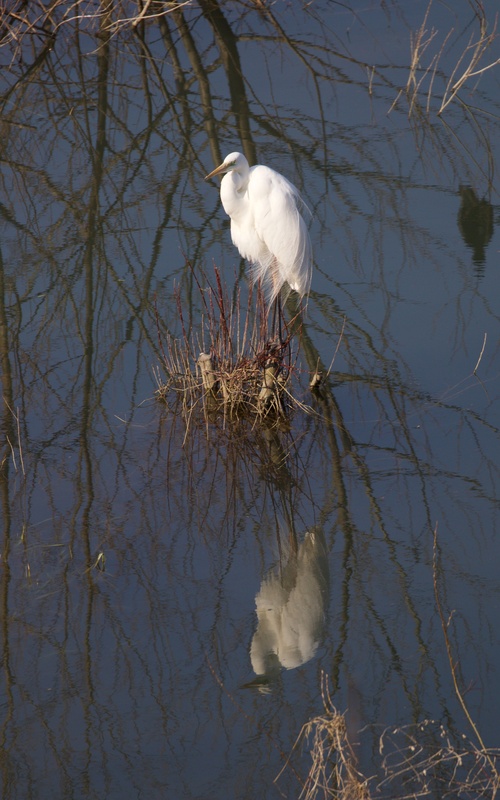 Great white egret on its early morning fishing post. Common tern and great cormorants. The small lakeside town of Virpazar. 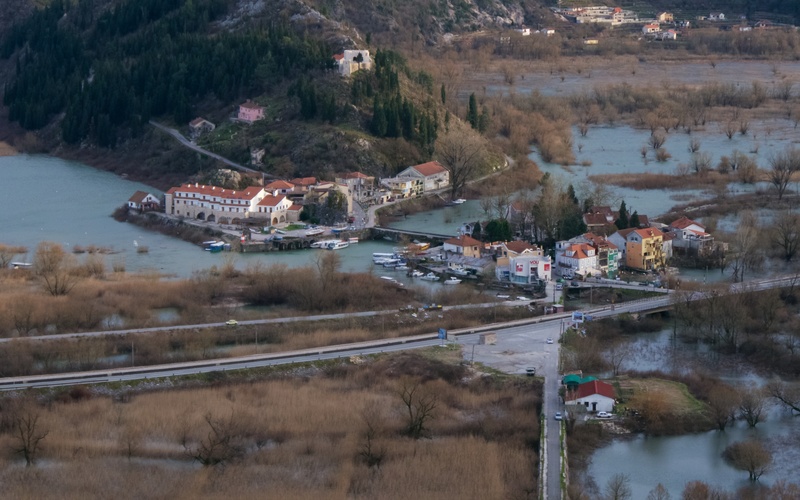 Virpazar sits on the edge of Lake Skadar and on a crossroads; the main road (and railway) runs north-south between the capital Podgorica and the Adriatic coast; a much smaller and older road runs along the southern boundary of Lake Skadar between Ostros to the east and Rijeka Crnojevića to the west. The old bazaar town with its high, stark monument to the partisans and old arched bridge next to the small square shaded in summer by plane trees is a colourful collection of hotels, restaurants and apartments. On the far side of the bridge a new hotel and apartments have expanded the town. In May, the square is lined by small booths that advertise boat trips on the lake; the competition amongst the many operators is polite but fierce. The owners of the old hotel Pelikan and its tour boats have a unique way of drumming up trade; one watches for the arrival of cars from the main road and then another engages them as they enter the town. This is a town of smiling entrepreneurs and stoics. Two views of Virpazar on a blustery day in March; the huge lake is to the left and flooded valley to the right. The same view on a sunny day in May with all the tourist boats lined up and vying for business. 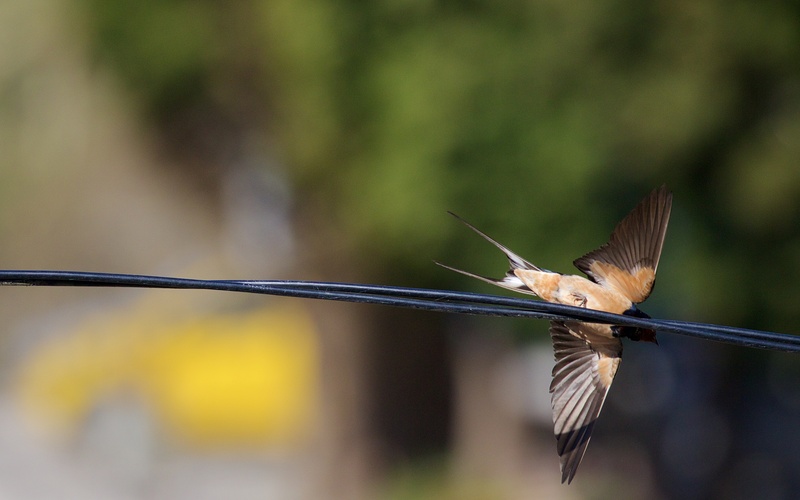 The local Voli supermarket is managed by a quartet of kind ladies and because of its modern design is home to a colony of house martins; these can be viewed from the window in the shop like a most convenient and well stocked birdwatching hide. 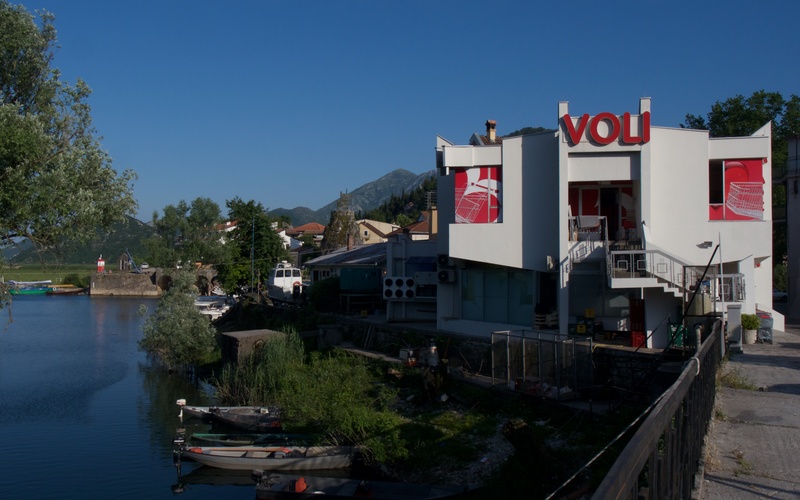 The Voli supermarket next to the Lake; the overhang on the left is perfect house martin breeding habitat. 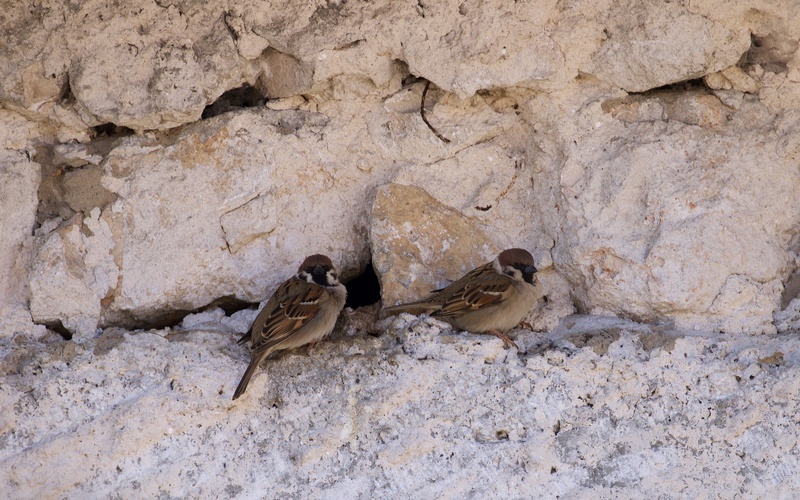 The martins nest on every available overhang in the town from the tourist office to the quayside arches. The swallows use every available old house and quiet garage in which to nest. The noisy calls fill the air from dawn to dusk. 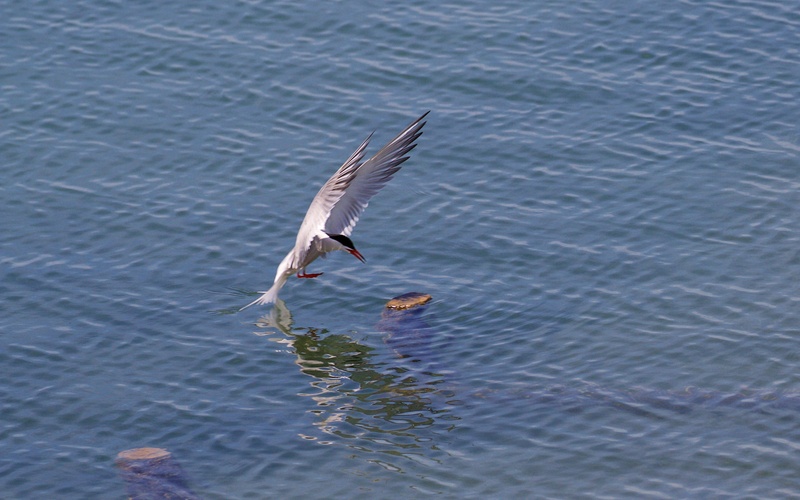 Sometimes a whiskered tern or two hunt the harbour with their harsh calls; alpine and common swifts and occasional sand and crag martins fling through as well, some drinking from the flat calm river. A Scops owl ‘peeps’ incessantly at night from early May onwards; tree sparrows, house sparrows and magpies are resident and ever noisy. The horde of wintering blackcaps has departed and only a few remain to breed. They will return and I would like to; it is a magical place rich in wildlife, people and wide views of the wide, flat lake and high, silent mountains far away. Swallow and a pair of tree sparrows investigating a nest hole. Fishing on a warm summer morning. 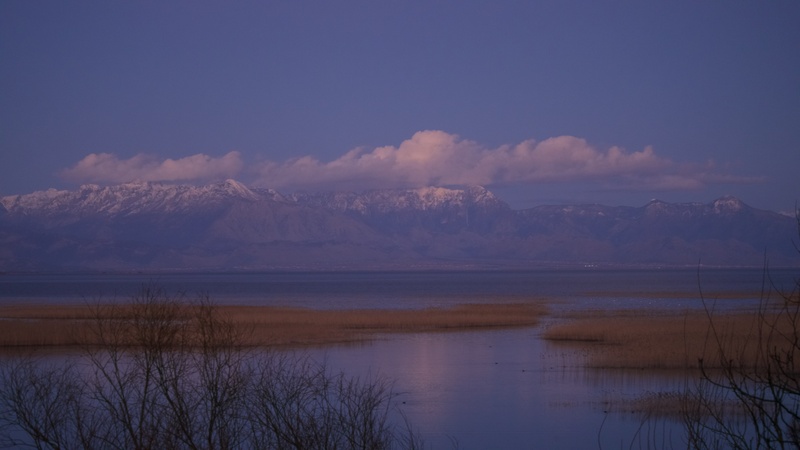 Lake Skadar and snow-capped mountains beyond at dusk with a bright moon. Steve, I was thinking of you just the other day as I watched some gorgeous butterflies by the Orahovistice river (white admiral, swallowtail and frittilary). Ben and I hope you will return some time too. 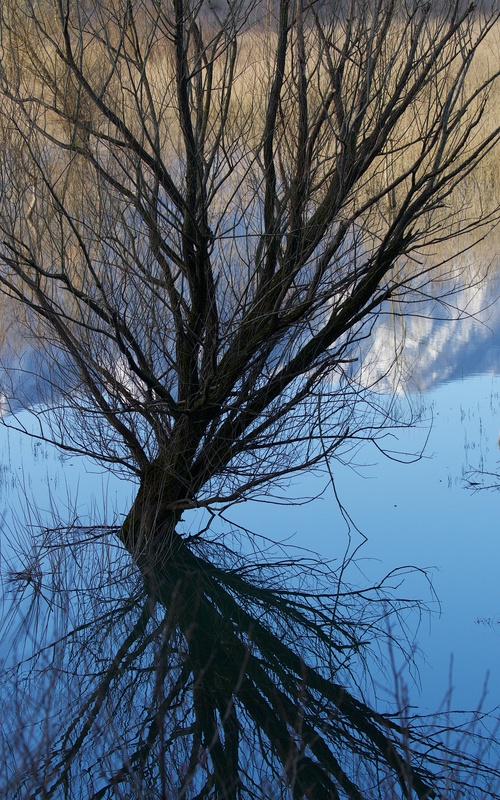 Your photographs and observations of Lake Skadar are a superb resource for us. Thank you! Thanks Emma, I really enjoyed the place and enjoy it more now that I have left if that makes sense! You and Ben were very kind and helpful and I wish you both well. I will send some photos to you some day soon too!